Don’t Ask God for Patience! Once again we’re back with Elsie Montgomery who, as I mentioned previously, is one of the most faithful devotional writers I’ve encountered online. Click the title below to read this on her blog, Practical Faith. From personal experience, I have another example. This one is asking God to reveal what stands in the way of being more like Jesus. I will pray that prayer, but I also know that I need to duck after praying it. He answers quickly and the truth is often painful. This indicates that my heart is not quite as contrite as God wants it to be. Instead of wanting to hide, I need to always be glad that God is dealing with my sin. Not only that, this is the attitude to have. With this willingness to see me sin, I know God is with me . . .
‘Contrite’ comes from an English word that means bruised, feeling and showing sorrow for sin or shortcomings. It means the same in Hebrew and is associated with repentance. At times I’ve identified annoyingly over-confident people as having a need for brokenness. I’m often in that place myself. Unless there is brokenness and a contrite heart, I am in a state of trying to do things myself without relying on God. Yesterday was filled with examples. Sigh. It was one of those days where I realized God is teaching me to go to Him for help and wisdom for even those tasks that I’ve done all my life without prayer or faith. Even knowing what was going on wasn’t much comfort. I was impatient with me instead of seeking the Lord. Finally, in the late afternoon my prayers of ‘help me’ started to go up and God showed me that this was His intention as I struggled. I just need to trust Him with everything, even the simple stuff. Tozer writes today of people who only pray for revival when they feel weak and unable, when they deeply desire it. Sometimes those prayers are prompted by corruption in our society, but they ought to be the prayer of those whose hearts are broken over their own sin. I cannot speak for others or motivate them to seek God, only myself. At the same time, I know the cost and challenge of revival. When I pray for it, do I really want it? Tozer says, “It may be said without qualification that every man is as holy and as full of the Spirit as he wants to be.” That is true, yet I cannot make Him fill me. I can only block Him, turn Him aside, say NO to the voice of God. What kind of person would I be if I was more cooperative? Perhaps that is the problem. I’ve a notion of how a revived Christian would act, and what changes could happen. Revival seems to involve more change, more unselfishly directed energy, and a deeper trust that I can imagine myself having. This is one more situation where I am careful what I pray for! Lord Jesus, when You ask me to trust You and I simply forget, or forge ahead thinking I can do things apart from total reliance on You, it reveals my need for a more contrite heart, a lowly spirit, a greater filling by Your Spirit. When I feel weak and unable and still refuse to pray, my need for those things intensifies. When I would rather sleep than pray, waste time than follow Your leading, I learn that I’m not even close to the trusting, revived person that You want me to be. Across the wide spectrum of Christian belief the phrase “filled with the Spirit” is interpreted differently by different groups. In Paul’s writings on spiritual gifts he says “we know in part” and “we see only a reflection.” In the same chapter however his primary directive is that love should guide all our relationships in the body of Christ. There is a common understanding that the believer needs to keep being filled with the Spirit. That is, that he is much like a container from which the Spirit can be consumed and which, consequently, needs to be replenished. This concept is error! The filling of the Spirit needs to be considered in another light. The Spirit is a person. He provides the enlightenment, leading, and power for victory over the devil, the flesh, and the world. He does not come to a person in fragments or pieces, but in full. Peter wrote, “[Christ’s] divine power has given us everything we need for life and godliness.” (2 Peter 1:3 NIV) If he has given us everything we need, we need nothing more. This understanding is contrary to the understanding that the believer needs more and must seek more. To be filled with the Spirit means to be emptied of all else—to be emptied of self and the interests of the natural spirit. Believers should not require any more of the Spirit. In fact, they cannot get any more of the Spirit. They need to appropriate what they have been given. 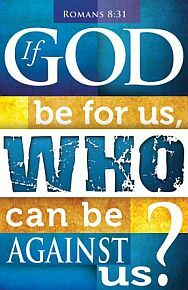 Certainly, it is possible for God to affect those around us, and indeed, the circumstances of our lives to accomplish his purposes (Rom 8:28), but more of the Spirit is not required. It is not without reason that Christ told the believer to carry his cross so that he might crucify himself as his own interests and natural spirit start to emerge once again. The believer’s prayer should not be to seek more of the Spirit but to seek less of self, and even death to self. (Rom 8:13; Mt 16:25) They already possess the completeness of the Spirit and need no more. The believer’s old self was pledged to have been crucified with Christ when he or she was baptized so that the body that causes sin should be done away with, that they should no longer be slaves to sin. Anyone who has died has been freed from temptation to sin and from its practice. When Paul told the Ephesians “Do not get drunk on wine, which leads to debauchery. Instead, be filled with the Spirit,” (Eph 5:18 NIV) he was admonishing them to be consumed with the Spirit, to will the Spirit’s sovereign right to their lives, and to put to death their natural interests and any inclination to consume too much wine. 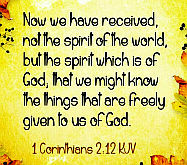 Paul taught that the Spirit was poured out generously on us. (Titus 3:5─6) It is a human tendency to cast responsibility on another. The thinking that I just need more of the Spirit so that I can do all of the wonderful things that God would have me do is an attempt to excuse ourselves of our own failings and to demand more of God. To ask God for more of his Spirit in times of “praise” is a hollow effort to glorify ourselves by implying that we are waiting for his grace and his power so that we might serve him. Again, we already have all that is needed to live the life that is expected of us, but that life can only happen as death to ungodly interests is realized and interest is taken in agenda. Either the heart of God is sought or the natural life; it cannot be both. Each person needs to determine their own level of commitment and to accept the consequences that accompany our decisions. The believer is to work out his own salvation with fear (terror) and trembling. 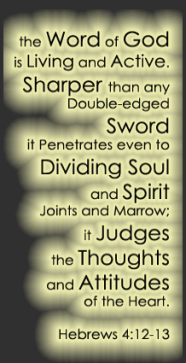 (Philippians 2: 12) A self-righteous demand for more of the Spirit is a confession of our own defeat unless it is accompanied by an honest petition seeking death to self and victory over the flesh. In our continuing quest to connect readers to different sources of material on the internet that is strongly rooted in scripture and goes beyond the superficial; today we’re introducing you to two sources. The first one is a Patheos blog, Christian Crier. 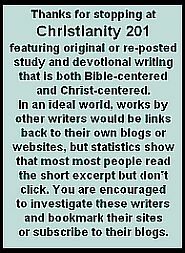 There, we discovered an affiliated blog, What Christians Want To Know. It was there we discovered today’s article, which we strongly encourage to click to read at source: What is the Anointing of the Holy Spirit? This is from Peter at The King’s Presence where it appeared as a question, Where in Heavenly Places are We Seated? Dear saints, you may not feel like it, but you are seated with Christ in the heavenly places. Since you have believed into Christ, you have been utterly and eternally united with Christ. When our Father looks at you He just sees Christ. In Christ, you have been resurrected, ascended, and seated in the heavenly places. But, what does it mean that we are seated in the heavenly places? Where in the heavenly places are we seated? Paul makes it clear that we are seated with Christ and in Christ. So the real question is: Where is Christ seated? O yes, dear brothers and sisters! Let’s shout with joy that Jesus Christ is seated at the right hand of God. Do you see the implications of this? Since Jesus Christ is seated at the right hand of God, we are seated at the right hand of God. Everything that is true of our beloved Lord Jesus, is true of us. When you are seated, you are resting. We are resting, in Christ, at the right hand of God! I hope that you are enjoying Christ and resting in Him, as that is your rightful place. This doesn’t have to be a distant objective reality. We have His Spirit, within us. Turn your mind to the Spirit within you. Love Him and enjoy Him. God is not only in you, but you are in Him. Take pleasure in being in Him. The simplest way I know of turning to the Spirit, is to focus on Him and say, “Lord Jesus, I love You!” But, do not take this as a rule or a method. It doesn’t even require words. Just let the love that God has poured into your heart, flow back to Him. Tell Him how lovable He is. He is the delight of the nations! He is the healing of the nations! O glorious and beautiful Lord Jesus, you are our delight and enjoyment. Make our hearts burn within us, for You. Shine Your Face on us. May we be Your enjoyment. May we be Your delight. O thirsty and hungry Lord, enjoy a feast of our enjoyment of Christ. Lots of scripture today! I thought it would be fitting to share some excerpts from the blog Murray’s Musings. Murray and his wife Nancy are friends of our family, and for the past few weeks Murray has been excerpting some notes that his father-in-law, Rev. Morley G. Clarke, wrote to share with his men’s group. On learning today that Morley had passed away yesterday, I thought I would include seven samples of the 21 “Moments With Morley” here at C201; you may choose to read one, several or all. It amazes me (but it really shouldn’t) to realize that as Dad was writing these thoughts as he was battling the last stages of cancer and during the early stages a year earlier had lost a daughter to suicide as a result of a chemical depression. Morley truly knows of suffering, but he also knows of the comfort that only faith in Jesus Christ can bring to the situation. The first verse put suffering it its proper context. God does not provide a way around suffering but does give His faithful promise to provide His sustaining presence as we walk through it together. 1 One day Peter and John were going up to the temple at the time of prayer—at three in the afternoon. 2 Now a man crippled from birth was being carried to the temple gate called Beautiful, where he was put every day to beg from those going into the temple courts. 3 When he saw Peter and John about to enter, he asked them for money. 4 Peter looked straight at him, as did John. Then Peter said, “Look at us!” 5 So the man gave them his attention, expecting to get something from them. 6 Then Peter said, “Silver or gold I do not have, but what I have I give you. In the name of Jesus Christ of Nazareth, walk.” 7 Taking him by the right hand, he helped him up, and instantly the man’s feet and ankles became strong. 8 He jumped to his feet and began to walk. Then he went with them into the temple courts, walking and jumping, and praising God. 9 When all the people saw him walking and praising God, 10 they recognized him as the same man who used to sit begging at the temple gate called Beautiful, and they were filled with wonder and amazement at what had happened to him. This is the day that Peter realized that his Lord had bestowed upon him the spiritual gift of healing but he was sufficiently wise and humble enough to disclaim all credit for the miracle. He made it clear that Jesus, working through him, was the one who had performed the loving miracle. Someone has said that a person can truly do a lot of good if they are unconcerned with who gets the credit. Here is the fantastic fulfillment of the promise given by the living Christ in Luke 24. During those wonderful three years Jesus walked beside his disciples. Now He will walk within them. They will be filled with His Holy Spirit. That took place on the Day of Pentecost when the Lord poured the Holy Spirit into the hearts of His 129 followers, and the church and the Body of Christ was born with great rejoicing. As I see it, this is the finest prayer in the Bible, although it might well be argued that the Lord’s Prayer in John 17 has equal claim. The amazing description of praise in verses 14 to 21 is one of the most beautiful and inspiring that I have ever encountered. Jesus never forces himself upon us, but He does make His presence known, pleading with humanity to open their hearts that they might come in, hearing such blessings as joy, hope and peace. This door opens from the inside! This is John’s record of Jesus’ double baptism. First, how he was baptized by John with water and secondly, how he was baptized by His Father with the Holy Spirit and with power. From there he went forth on His mission of preaching, teaching and healing, enabled by the Holy Spirit of God – to enable us to fulfill our mission, to put into action our ministry of using our spiritual gifts. We too, need that in filling available and it is available to us. Indeed, Paul issues a command. “Be filled with the Holy Spirit” on the day of Pentecost as described by Luke in Acts 2:1-4. The church should celebrate Pentecost with no less fervor than we do Christmas and Easter. What a beautiful image, filled with a portrayal of Heaven. When a minister stands at the grave of a Christian, how wonderful it is that he has a sure word from God, a word of comfort, a word of hope! Read the entire series of Moments With Morley – click here.